World Housing Foundation hasn't added a story. This holiday season we can all give the gift of hope. Please join us to help gift homes to families who are living in absolute poverty, on less than $2 a day. We believe that everyone deserves a chance for a better future, and it all starts with a home. It doesn’t take a lot from anyone… if we all come together we can transform lives forever. By partnering with like-minded organizations we can reach our goal of building ten homes this holiday season. To explore our complete list of incredible partners click the Fundraisers tab just below the tweet button. DONATE A DOLLAR A DAY FOR THE MONTH OF DECEMBER. 100% of the funds we raise through the ‘Home for The Holidays’ campaign will be used to construct the world’s first 3D printed home community! This revolutionary technology has been developed by World Housing’s building partner, New Story Charity and will break ground in El Salvador in 2019. 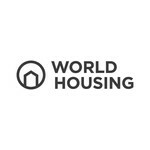 World Housing Foundation hasn't posted any updates yet.